Cuban cigars already stand out as the finest cigars in the world. Cuba also produces Regional specialties each year as well as very Limited Editions. These are produced in limited quantities, so availability may change without notice. In other words, get them while you can, as they do not last. 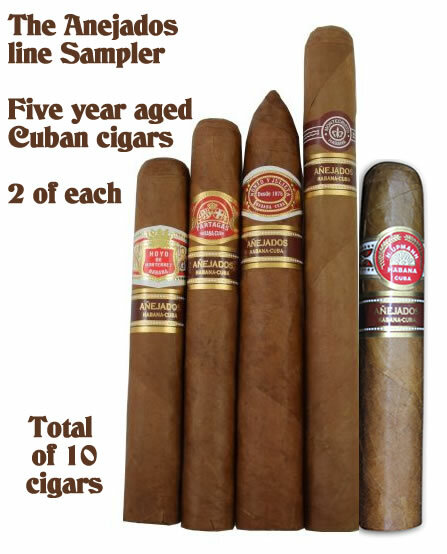 Two each of the following 5 year aged Anejados line cuban cigars.